TLC announces a special holiday episode of Long Island Medium, airing Tuesday, December 1, 2015 at 9:00pm ET/PT. Season six of Long Island Medium premieres Sunday, January 3, 2016 at 9:00pm ET/PT. Long Island Medium season eight features medium Theresa Caputo, husband Larry, and children Victoria and Lawrence. In the season six premiere, Caputo will conduct readings with stars including Big Bang Theory‘s Jim Parsons; Devious Maids‘ Susan Lucci (star of cancelled ABC soap, All My Children); and Jamie-Lynn Sigler of cancelled NBC sitcom, Guys With Kids. (New York, NY) – Theresa Caputo and her family are back with all-new episodes of TLC’s hit-series LONG ISLAND MEDIUM on Sunday, January 3 at 9/8c. The upcoming season kicks off with a special episode featuring celebrity readings with Jim Parsons, Susan Lucci, Jamie Lynn Sigler and other stars from the big and small screen. The new season is also packed with a lot of firsts for Theresa, including her largest-ever fundraiser group reading and readings focused solely on children. Throughout the new episodes, Theresa continues to give her clients the best gift of all – emotional reunions with their dear family and friends. All-season long, the episodes will focus on a special theme, from tragedy in the line of duty and haunted homes to the holidays and even weddings. During a moving episode, Theresa salutes heroic police officers and firefighters, as she reads people whose lives were turned upside down in the line of duty – some of them by the devastating events of September 11th. In another, Theresa visits and cleanses the homes of people who believe they have spirit activity. Meanwhile, the Caputo family takes a trip to Florida which prompts Theresa to explore the possibility of living there during the winter months. To kick off the holiday season, TLC will air a one-hour holiday special on Tuesday, December 1 at 9/8c, where Theresa gives the gift of closure and peace to many families over the holiday season. She reunites a family with their dad who passed away from a heart attack during a holiday foot race, and later surprises a woman at the airport with a special reading that channels the woman’s departed sister. She also conducts a group reading at a veteran’s home with some emotional results. Being so busy, Theresa has very little time to prepare her own holiday treats, so she reaches out to her Aunt Gina for help and encounters another spirit in the process. TLC is a global brand available in more than 95 million homes in the US and 303 million households in 190 markets internationally. A destination online, TLC.com offers in-depth fan sites and exclusive original video content. Fans can also interact with TLC through social media on Facebook, Instagram, Pinterest and @TLC on Twitter as well as On Demand services, YouTube and mobile platforms. TLC is part of Discovery Communications (NASDAQ: DISCA, DISCB, DISCK), the world’s #1 pay-TV programmer reaching nearly 3 billion cumulative subscribers in 220 countries and territories. What do you think? 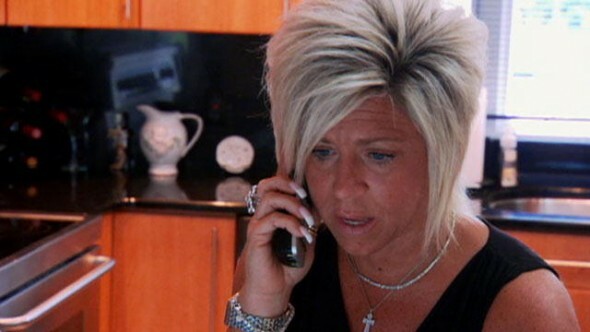 Are you a fan of TLC’s Long Island Medium TV show? Will you watch the sixth season, or should we ask Theresa? More about: Long Island Medium, Long Island Medium: canceled or renewed?, TLC TV shows: canceled or renewed? Does Teresa do phone readings OR will she be anywhere near Indianapolis soon?